Empathy is a very important aspect of our lives. God gave human beings special intelligence, more intelligence than animals, but also God gave us another kind of intelligence – to be able to control and govern our intelligence, and that is a empathy. Without empathy, the intelligence becomes very dangerous. God gave us that empathy so that we may be able to use that intelligence appropriately. Empathy is the ability, kind of a special intelligence, with some people being more developed than others with that special kind of intelligence. And I appreciate it. I value that very much, but the world does not really appreciate and value it that much. They value something that’s a different kind of intelligence, but they don’t really focus on the value of the intelligence of empathy. But I believe that empathy is a special kind of intelligence. Through the empathy, you understand another person, you understand how other people feel. That is a kind of intelligence. Through empathy, you can feel what other people feel and you can understand what other people are going through. In other words, you can understand other people at a deeper level. That is what empathy is. And so empathy is very much important. 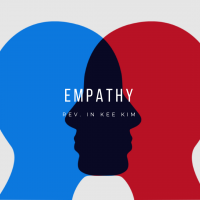 Empathy should be the focus, and intelligence is just the way you use to really work out your empathy. The city of Toronto was shocked again by the terrible incident in Greektown. It was not too long ago that we had to deal with our sadness and sorrow by what happened in North York. The tragedy happened again last Sunday. I mean, compared to the United States we are much better, but still we never heard of these things before. Here in Toronto, 69 instances like that in 2017, but in Chicago, 600. It’s a much lower rate, but still, in Canada we never heard of these things. But we are often hearing of these things around us. Two people were killed and thirteen other others were injured by a 29-year old man shooting randomly to the people in the street and in restaurants. I mean, I was thinking about the parents of the 10-year old, the 18-year old… their future. I mean, there are 18-year olds here and 10-year olds downstairs. I mean, think of the parents, that for the rest of their lives will deal with this burden, darkness, sadness, anger. We have two families living around that area, so I called them both as soon as that happened. Actually, the son of one of the families, he came to our mission dinner, Danny, the violinist. He played for us at the mission dinner. He just had a dinner and he lives in Greek town, and I saw his house in the news. He just had a dinner and came back home, he was about to go out again to walk the dog and then he saw the news and he didn’t go out. The men who did this shooting suffered incredible darkness and lost the ability to have empathy with others. He completely lost the empathy to feel what other people feel. Lack of empathy can result in tragic consequences. Jesus well put it out, the condition of his people in his time. This summarizes their condition, it says, “To what will I compare this generation? It is like children sitting in the marketplaces and calling to one another. We played the flute for you and you did not dance. We wailed and you did not mourn.” Complete lack of empathy. Jesus saw this complete lack of empathy. He saw apathy, not empathy, around him. They lost the ability to be able to laugh with those who laugh, and to cry with those who cry. They lived in numbness. There were so blinded in their own world and feeling that they could not feel what others felt. What they did was exactly the opposite of what St. Paul advised us to do. St. Paul said, “Rejoice with those who rejoice, weep with those who weep.” Instead of having empathy, they were full of hatred, criticism, and judgment. You know, when you don’t have an empathy, these things come into your heart. Hatred, anger, criticism. John The Baptist, he was a noble man. He did not have much. He lived in the wilderness. He ate wild honey and locusts. He had basic clothes from the camel hair. And then they called him, “a demon possessed man.” And Jesus was exactly the opposite. He enjoyed his life. He often spent time with sinners. People who were low class. He ate with them and drank with them. I mean, he was totally opposite of John The Baptist. They called him “drunkard” or “glutton.” It doesn’t matter who they are. They were just busy criticizing other people. They were completely blinded. They saw the Prophet as a demon possessed man, and they saw the Messiah as a drunkard. They could not even see who they were really like, so their intelligence was stupid. They were lacking something tremendously. They cannot really see things properly. Empathy is a beautiful human quality. A lot of people don’t have it unfortunately, but it’s a beautiful human quality and it is what makes human beings human beings. It is what makes human beings beautiful. Not your face, not your body, but it is that empathy that makes a person attractive. Beautiful. What makes our life beautiful, enjoyable and viable is empathy. People gathered up together after both incidents, North York and then Danforth, people just had to come out. They couldn’t just stay home. Some of our Congress members also went out, just to be part of that, just to be with them. They raised money for the family, they did the walk together and some people ran together. They gathered to worship, sing songs, and comfort each other. They cried together when they sang, Leonard Cohen’s “Hallelujah”. They heard the words of comfort from clergies. And then they sang this song that we are going to sing later after the sermon. But as they sang that song, and as they walked together, they sang this song and they embraced each other. That is empathy. They just wanted to feel what the victim felt. Not everyone was there, but numerous, thousands of people watching news, they shared that sorrow with them. They were together in spirit. Empathy makes our community stronger. Empathy has a magical power to heal us and empower us. It is sad that we don’t have that empathy. We don’t experience the healing and the freedom that we experience that from comes from empathy. When you feel that somebody understands your hurt and pain and feeling, you get empowered. Even though you suffer so much, if somebody else understands your hurt and pain and suffering, you feel so empowered that you can handle your hurt and wound better. Bob and Irene shared their suffering at the retreat with tears. We all shared our tears together. That made our community stronger. It is the magical power of empathy. In the family, you’ve got to have empathy. In church, you gotta have empathy. In society and community, you’ve got to have that empathy. Otherwise we as a human community can not survive. Jesus met with the Samaritan woman. She never met him, but immediately she sensed that there is somebody who understands me. There is somebody who understands my pain of loneliness. After a few minutes of this conversation, she was totally liberated and empowered. She was healed from that pain of loneliness. She was able to go out and meet the people she has avoided all that time because she was healed. Jesus came to Lazarus when Lazarus died and it’s the shortest verse in the Bible, and that’s when Jesus wept. Jesus cried from that empathy. That was a power of resurrection. Through that empathy, Jesus raised the dead Lazarus from death. That is a magical power of empathy. Christian theology of salvation. What is that? Soteriology. Christian theology of salvation, that is basically God’s empathy. We’ve committed sins, but God did not focus on our sins. Rather God focused on the suffering that we suffer from our sins. If God focused on our sins, we have no salvation. But somehow God focused on suffering that we receive from that sin, and from that empathy, salvation was possible for all of us. That’s Christian theology of salvation. It is God’s empathy that saves us. I do believe that empathy is not a natural talent that you’re born with. Like, “Some people have empathy, some people don’t…” I don’t believe so. Empathy is something that we all can cultivate. We can learn. We can be trained. It is your lifestyle. When you look at other people, instead of being focused on yourself, you focus on other people’s suffering. “Is there anything that I can do for them? How do they feel when they lost some loved ones? How do they feel when they’re angry? How do they feel?” You know, it’s your attitude towards life, and and through that attitude, empathy is being cultivated, train and learned. If you don’t do that at all, then you become like stupid. You will never understand what other people feel. To me, that is being stupid. Not the ones who can do a calculus well – the one who cannot even understand basic human emotion of other people, that’s being stupid to me. Empathy is something that you can learn and you can cultivate. Anybody can have empathy, but as you get hardened in this cold, competitive world, we lose the ability to empathize with others’ suffering. My friends, don’t teach your children to be successful. Teach your children to be empathetic. That’s what makes human beings. Don’t focus on success of your children. Focus on their ability to be able to feel what other people feel. That will make our future world a much better world. That will make our human community a much more intimate community. What is happening right now is a result of this very cold competitive society. More people will be produced like that. We need special kind of leadership – that is leadership of empathy. We don’t need a narcissistic leader who cares only about himself. We don’t need that kind of role model. We need a caring leader who deeply understands the deep human suffering. How much money do you need? You don’t need that much. How much empathy do you need? We need a lot. To make your life beautiful and meaningful. I’d like to invite you to sing with me, the song that they sang together as they marched. “Live In Charity”. Let us have a moment of meditation, silence and prayer. Let us remember the family of the 10 year old, the 18 year old. I just cannot imagine the pain and suffering of the parents. Let us pray for that family. So many people were affected… their siblings, their friends… Let us pray for those families who were hurt in this instance. Let us pray for ourselves. I see so much lack of empathy even around us trying to survive in this cold and competitive world. Our hearts have become hardened. We cannot anymore feel what others feel. We just become so self centered. Cellphone absorbed. We just cannot even imagine what others are going through. We have lost to be human being. Let us pray for ourselves, for our own healing.